To be considered accomplished, a young gentlewoman must be proficient in playing an instrument and singing. 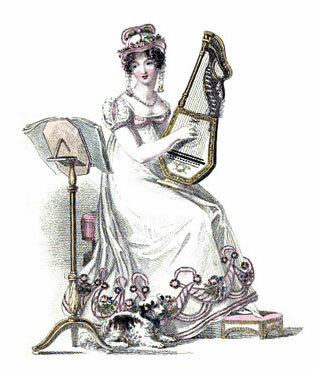 To be considered accomplished in Regency England, a young gentlewoman must be proficient in playing an instrument and singing. 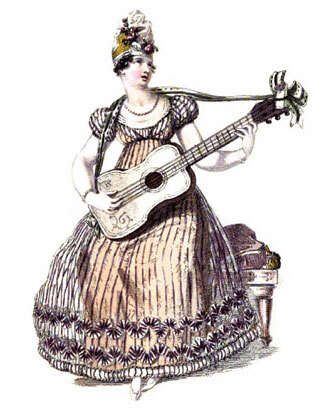 Evening entertainments often featured a display of the musical talents of the young ladies in attendance. Bucket Town - home of the first community of toymakers in America. The late 1850s brought cameos again back into favor and for decades the demand for them increased every year. Antique carriage clocks are valuable treasures from yesterday. Extensive selection of vintage ski posters and vintage Louis Vuitton luggage capture an era of glamour.